The recent cleanup drive of the Villar Foundation with Manila Broadcasting Company (MBC), attracted hundreds of volunteers. Keeping with its environment-related advocacies, The Villar Foundation had recently inked a Memorandum of Agreement (MoA) with Manila Broadcasting Company (MBC) as represented by radio station DZRH in its Manila Bay Cleanup drive. 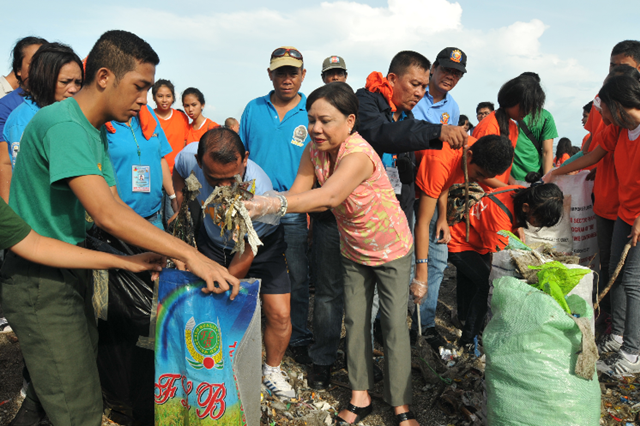 The Villar Foundation, led by its vibrant Managing Director Cynthia Villar, together with at least 1,000 volunteers from schools, barangays, NGOs, socio-civic organizations, and other private individuals and groups had joined the cleanup drive. Their assigned garbage cleanup area is in the Las Piñas-Parañaque Critical Habitat & Eco-Tourism Area or LPPCHEA, off Manila Bay. 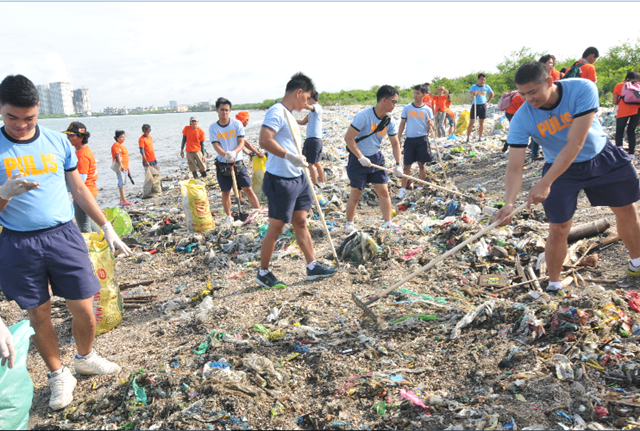 “We have always been concerned about the condition of the Manila Bay. The recent typhoons have shown all of us the bay’s decaying state due to people’s indiscriminate throwing and dumping of garbage there. 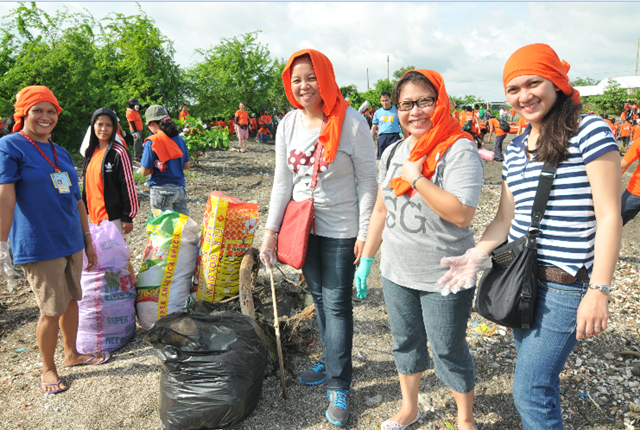 Regular cleanup drives such as this are always a good idea,” quips Cynthia Villar. 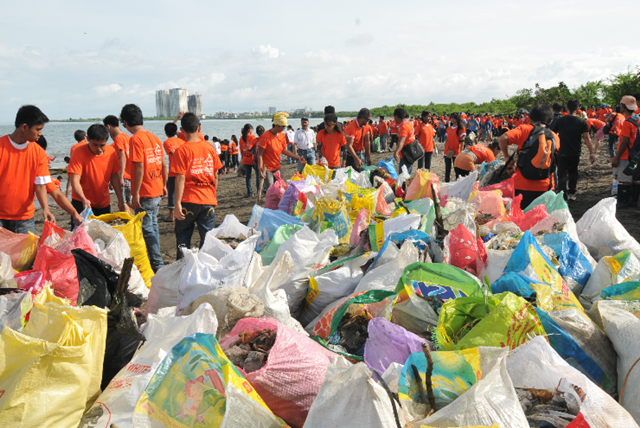 During the recent typhoon Gener, according to the Metro Manila Development Authority (MMDA), at least 200 truckloads or over 500 tons of garbage, washed away to shore by the storm surge, was collected around the Manila Bay area. It took weeks to completely collect the big piles of garbage. Villar added that the foundation conducts regular weekly cleanups at LPPCHEA but Saturday’s cleanup with DZRH is just bigger in terms of number of volunteers. 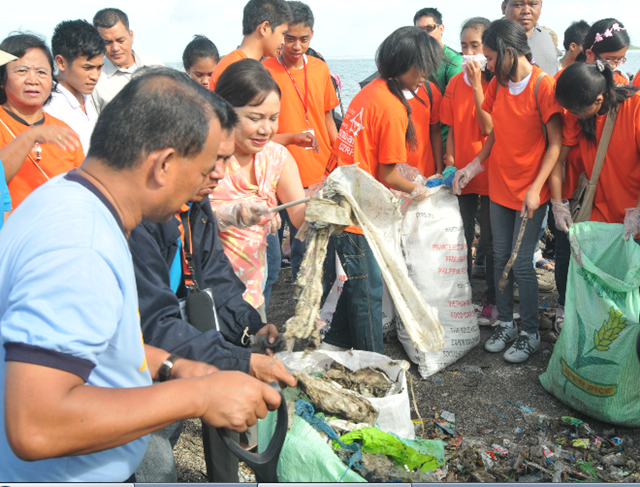 As per the MoA, MBC or DZRH lead the Manila Bay Cleanup project last August 25, 2012 (Saturday) along the coastline of Manila Bay from Navotas to Bacoor, Cavite in line with their agenda to help promote any and all efforts in relation to the promotion of sustainable ecosystem of Manila Bay. The clean-up activities took place from 7am to 11am onwards and the garbage collected was turned over to the appropriate government solid waste collector in the area. 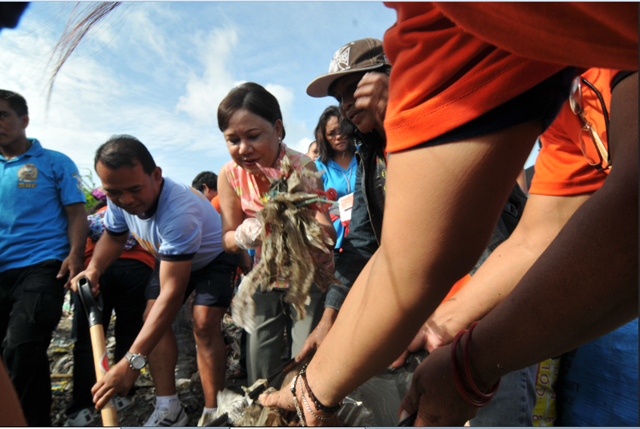 Villar has been vocal about her strong support for the protection of Manila Bay. It can be recalled on March 16 this year that Mrs. Cynthia Villar filed a petition for Writ of Kalikasan against a Manila Bay reclamation project that is seen to cause catastrophic flooding in the area. The Supreme Court granted her petition and issued a writ of kalikasan in April, 2012.